I live in Orlando, Florida and there’s a constant banter under the surface of whether Lake Eola (our iconic park downtown) is an excellent park or an average one. As the debate goes, Eola is pretty, but there’s not much space to play and do things, as there isn’t much acreage. Lumpini reminded me of Eola almost immediately. It had a lake with a fountain in the middle and park space around it. Other than that, it was better than Eola in almost every way. Ample green space, more lakes, a community garden, and just much more total space (142 acres). Experiencing Vienna for the first time was one of the most enjoyable surprises I’ve had while traveling, and considering Vienna is so lovely, it’s no surprise that they’ve had a massive park around for centuries, adding to the city’s wonder. Specifically, Prater is over 3,000 acres of forests and fields for families and friends to roam. There is also a theme park, the national stadium, and a cafe in the old hunting lodge. Like many great parks in European cities, it was formerly hunting grounds. 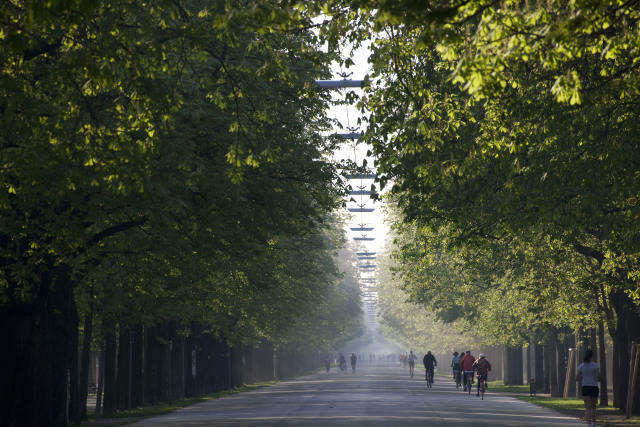 Now, it’s a playground for thousands of people who call Vienna home. It’s impossible to choose between these two. They’re different parks for different moods, yet so similar in many ways, including both being approximately 120 acres. 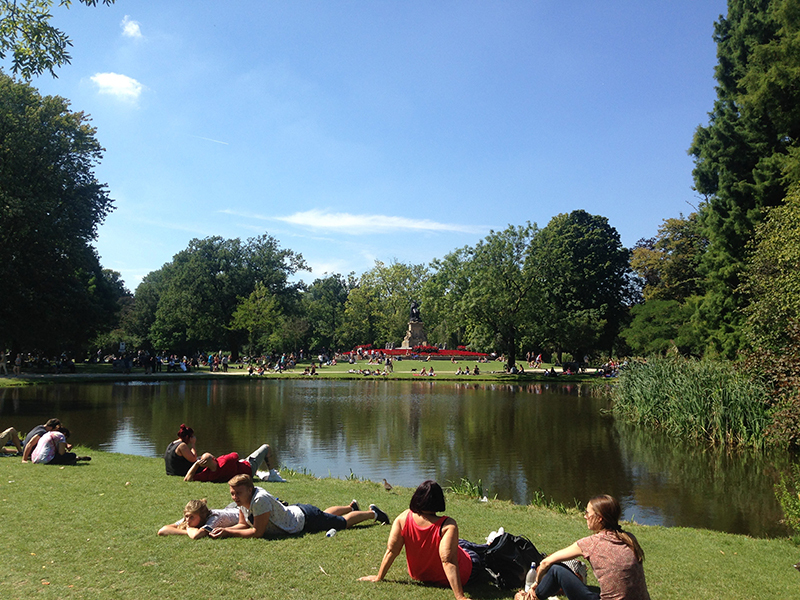 Located very near one another (700 meters entrance-to-entrance), Vondelpark is the place of renown. There are small lakes and fountains and cafes and green lawns with people everywhere. A theatre, children’s play area, etc. etc. etc. The park is truly lovely and it’s where you may want to go when you’re in the mood to be around people. Rembrandtpark, though so close to Vondelpark, is almost hidden. It’s the opposite direction from city center and is infinitely quieter. Which means more space to play and more space to think. It’s a touch wilder, too, with some grass fields and little copses of woods. Both are excellent options. This one is 520 acres of beautifully green park at the center of Berlin. It is another one of the great European city parks that were previously great hunting grounds within the city. 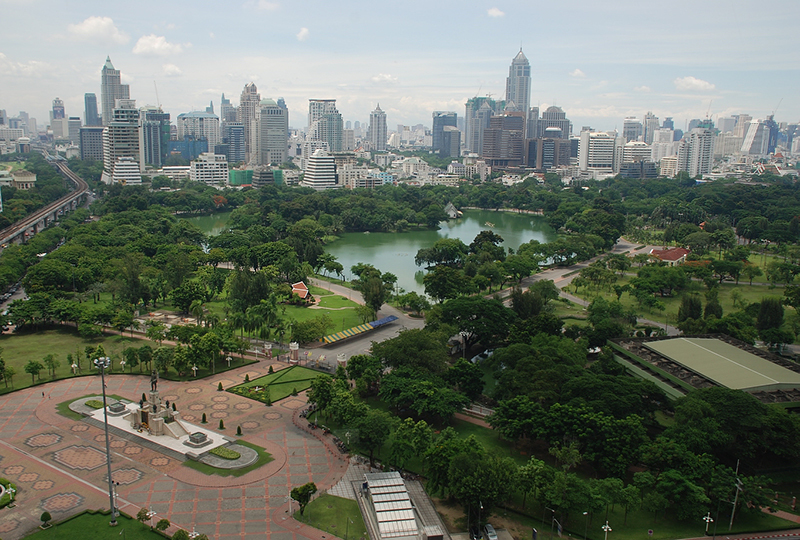 The park was decimated during World War II and refreshed to accommodate the beautiful green lawns, numerous monuments, and delightful forested areas, covering both woods and ponds. The Berlin Zoo is also there, tucked away in a corner of the park. The Northern European countries are known for their engineering prowess and hundreds of years ago in Stockholm, locals began planning a gorgeous, elaborate park system throughout the city. 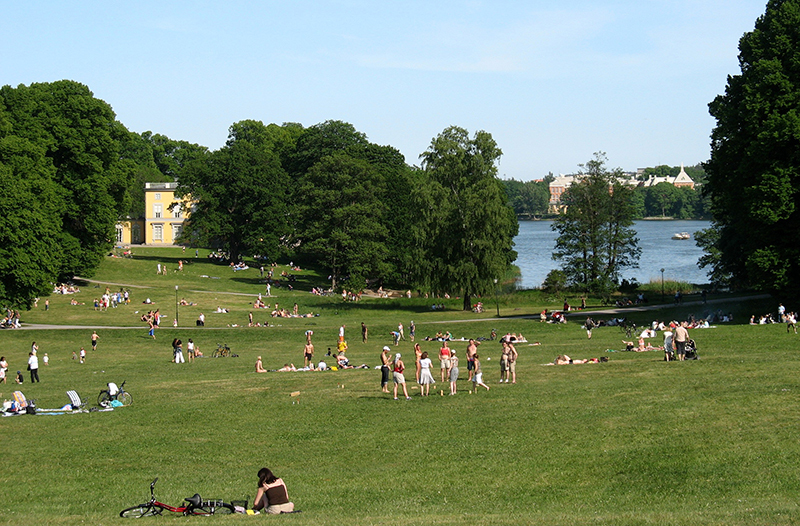 The gem of those, or so it’s considered by many (including the royal family), is Hagaparken. It is 288 acres of well-planned, yet natural-looking, forests, gardens, lawns, and occasional immaculate structures. This place gives you the chance to have pretty much whatever you need out of a park, including if you’re the kind of person who loves big copper tents. All-in-all, this place sings.